Having great website copy ready for launch day is one thing. Creating great content for your website’s launch day is something completely different. You will need to do both, that’s for sure. It’s just that the process will be completely different, and so will the reasons why you’re doing it. 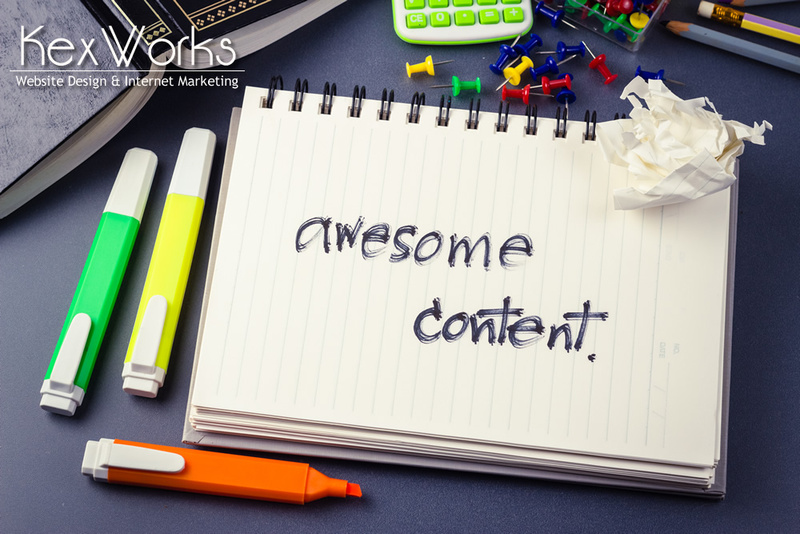 Content gives your website visitors several things. It can give them something to do while they’re on your website. It can give them a reason for visiting the website. Ideally, it should also provide some actionable, useful, or at least entertaining information. But it’s also important what your content gives to your website — something to attract links and visitors. That type of content has plenty of prospects to become viral, and you can create it in one of two different ways. Cornerstone content is the term that’s used to refer to the content on a website that has the most value. It should be the best-performing content, although it’s easy to see how sometimes lighter and more trivial pieces of content might perform better. You’ll have the months and years ahead of you to produce cornerstone content for your website. For the launch, however, you should produce one cornerstone piece of content — a piece of content that’s so good people will want to come to see it and will leave with the idea to link to it. People like to see great resources online. If those people are in the business of content production, they will use those resources for pieces of information they provide. In return, your website as the place where the resource is hosted gets a link to it, and a slight boost in search engine results. Creating valuable resource pieces is a solid search engine optimization strategy. You won’t be able to do it often, however, because that type of content can cost you a pretty penny. But if there’s one piece of content you want to be the first piece that’s hosted on your website, it should be an information-rich resource piece. If you don’t want to create a resource that’s coveted by other members of your industry, you can do something else to make for a valuable piece of content. And that one will make your website and business appear as you’re very much in the know and well-established in your industry. The expert round-up is a seemingly simple type of article. You figure out the question your audience really wants to see answered. You make a list of experts in your industry that might be able to answer that question. Then, you reach out to them, tell them about your article and the question, and hope for an answer. If you pick a good question and good experts, and if they’re willing to share their expertise, you’ll easily get an article that’s a valuable resource. Again, it will be a link-magnet article, especially if it has a couple of good quotes. So pick the experts wisely. These two types of content are not the only ones you should be having on your website. Actually, the more content you have the better, and it’s very unlikely that you’ll dive into a website launch without at least a couple of pieces of content ready for immediate publishing, and a couple to release over the next month or two. What types of content are useful for this? Again, it’s best to start the website by publishing the highest quality content you have. That being said, you might not want to burn through a year-worth of the content budget just for the launch. How-to articles are always a solid choice. Case studies are another type of content that’s very attractive. Substantial posts that cover certain topics in an analytical or theoretical way can also be very appealing to the audiences. Whatever you do, just remember that your content is not about you or your opinions. It’s about what your audience and website visitors want to read.